Get up-to-the-minute game schedule notices! Want to get email and/or text notifications of game reminders, cancellations, and postponements? Sign up now for Notify Me. Don't miss out on the 2019 youth summer camp to be held June 17-20 at the Waunakee High School fields. Register now! Help us Build On Tradition! 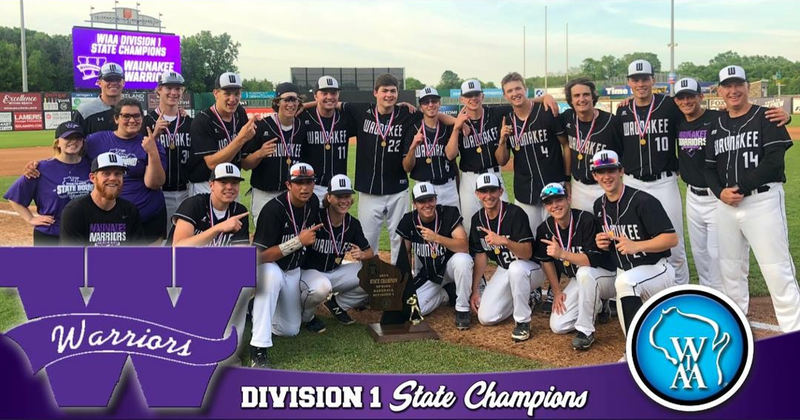 Please consider supporting the Build on Tradition campaign to fund several much-needed improvements to our facilities and make the Waunakee Baseball experience better for our players, coaches, and supporters. Learn more about the project and how you can help! Warriors showed off for the youth. Winning both games of the double header against Baraboo. Game one, 15-5 in five innings. Game two, 10-2. Click here to get the latest information from the Wisconsin Interscholastic Athletic Association's webpage. ©2019 Waunakee Warriors Baseball / SportsEngine. All Rights Reserved.